I’m feeling pretty grouchy today. W is out of town. I’ve had several bad runs in a row. We need a new roof and we have a stupid Tudor style house which makes it cost, like, expensive times 3. So I thought that I’d just allow myself to be needy today and ask if anyone’s seen these particular hairbands around. The last ones left in the house. 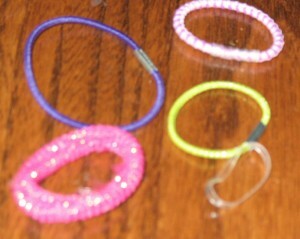 These are currently M’s favorite hairbands. I don’t know where I bought them, and I can’t find them again. They’re not these Goody ones. They look similar, but those are a different texture, more like fabric. I think that maybe they’re these Scunci hair thingies. But I’m not sure without seeing them in person, and I’m too cheap and stubborn to pay shipping when I’m not sure. I keep looking at every place that I normally go shopping, and I keep not finding them. Anybody seen them? If so, where? Please? 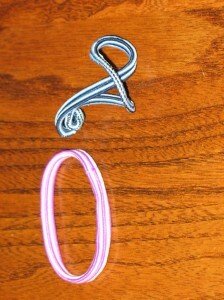 We have a whole variety of other hairbands. None of them, apparently, are much good at all. I understand. I mean, we all tend to like a certain kind of brush or socks or whatever. And it’s not like M pitches a fit when we can’t find one of her preferred hairbands. But it’s just irritating. You know: you use the ones you like, and then they apparently evaporate into thin air and you’re left with piles sub-standard hairbands. And, then, because I was feeling grouchy and mildly sorry for myself for one reason or another, I allowed myself to get sucked into a true time waster. You see, part of the challenge with M is that she decides on a single hairstyle choice and sticks with it constantly for months. Currently, it’s the ponytail. Hence my constant need for hairbands. But then I got nostalgic for the headband era. Because, for several months, M wore a headband Every. Waking. Moment. I’m serious. She actually stored the headbands on a bedpost so that she could remove the day’s headband after bedtime stories, and then she’d put a new one on in the morning before getting out of bed. Consequently, for months at at time, it was impossible to get a picture without a headband. I started out looking for a good photograph of this one headband that was pink and black that used to drive me nuts because it was pretty–truly it was–but it always made me think that M looked uncomfortably like a pint-sized Paris Hilton. ewww. 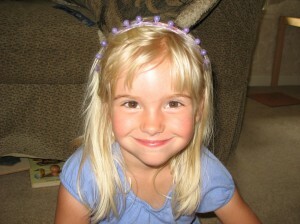 I couldn’t find that one, but here she is sportin’ headbands . . . 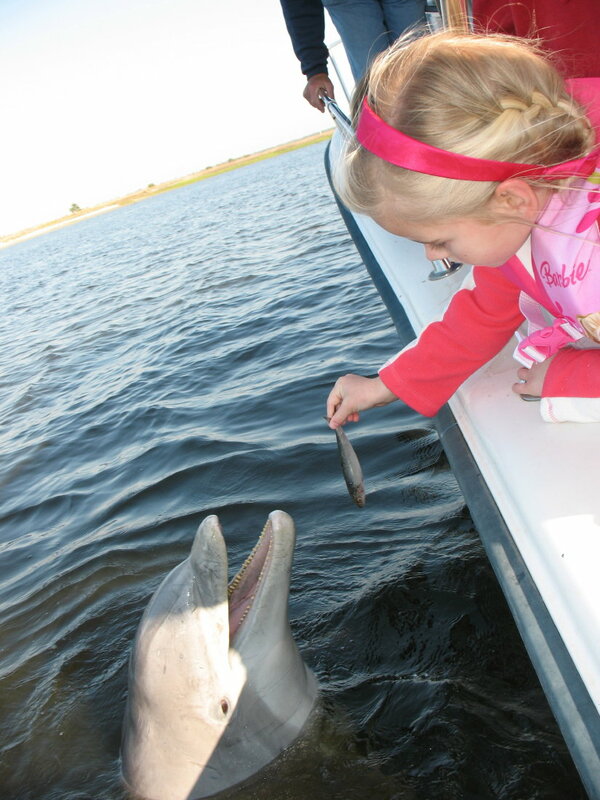 Feeding a dolphin. . .
Oh, this one caused some ugly tangles! Bad idea. . . Originally I uploaded about eight different pictures, but then I thought that you might not be quite so enamored with all the photos as I am. And her face evolved, too, so some of them started to look like her today, which I usually avoid. So here are a few, including one with the adorable little preschool face. Man, I miss that little face. And, you know, those headbands drove me crazy-crazy-crazy. But now I even miss them, too. 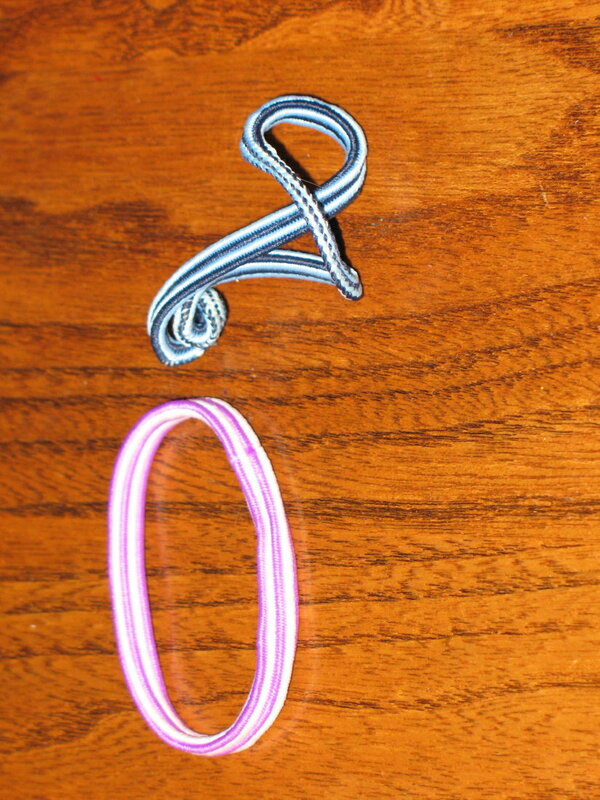 Seriously, if anyone sees those hairbands around, I’ll owe you one. With my luck I’ll find them just when she decides that she needs a chic bob. I remember the headbands on the bedpost — hilarious. CVS carries the scrunci ones, I think, have you tried there? RiteAid? J is out of town, too… no fun. Good luck and keep running, my friend.